At Plásticos Ferplast we have extensive experience in the production and transformation of methacrylate. It was the material with which we started our activity, and today it is still the one that generates the highest volume of orders among our customers from all sectors. 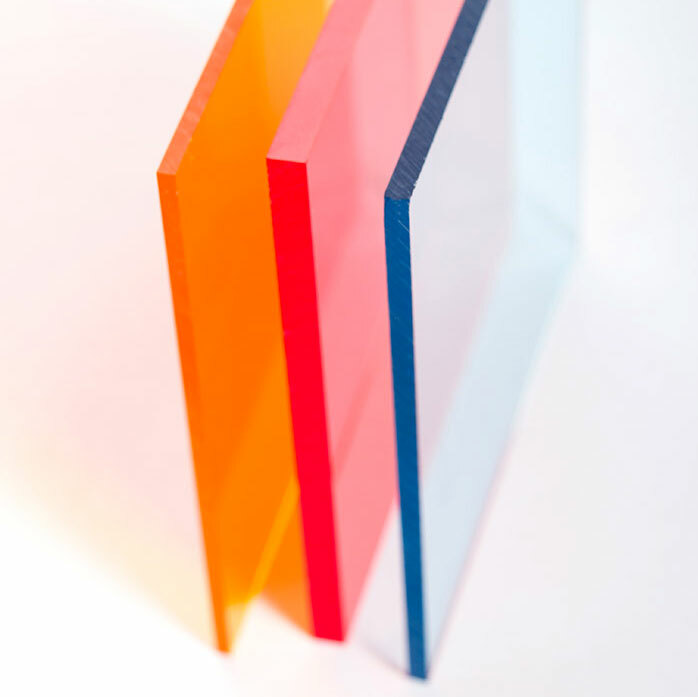 We work the cast methacrylate as well as extrusion in a colorless, translucent format and it a wide range of colors. We also have a team of technicians who can advise you when placing your order, resolving all your doubts, or even designing the product itself. We sell raw sheets, tubes, and bars in all sizes and thicknesses. 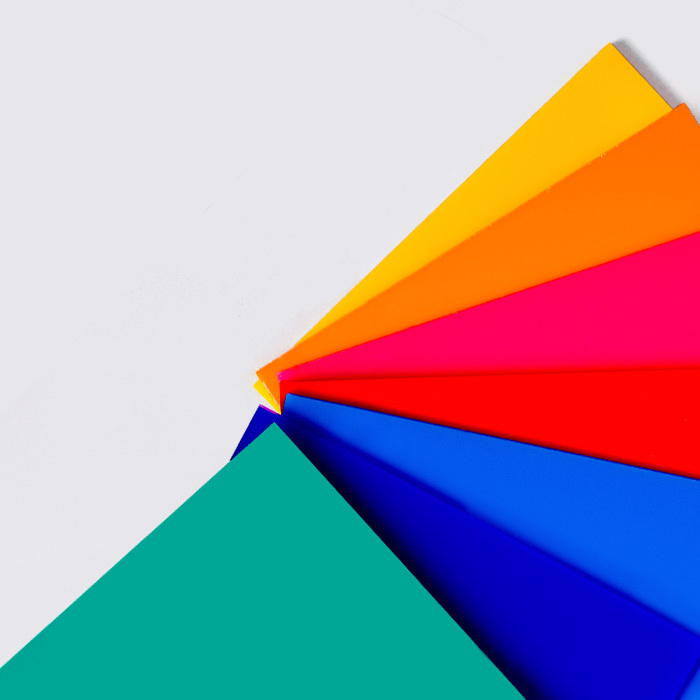 We have an extensive catalogue of colors, but we can create almost any color. We produce large and small runs of pieces and custom products. It is possible to make any type of cut, glued, curved, threaded, thermoformed, molded, bent, turned, CNC machined, or polished piece, in addition to other processes. We produce highly personalized unique or prototype pieces. In addition to knowing the possibilities offered by methacrylate, we have mastered all the techniques, and have the most advanced technology, for performing all kinds of transformations: laser cutting, CNC machining, thermoforming, 3D, manipulating, serigraphs, engravings, painting, etc. We are able to define any element from technical drawings and we also know how to provide the best solution in packing, assembly, storage, and transport. In short, we can provide the most appropriate approach for each order so as to make it a reality in the most efficient way possible. All this allows us to offer the most competitive prices for each of the projects that come into our hands. What does methacrylate offer to our customers? 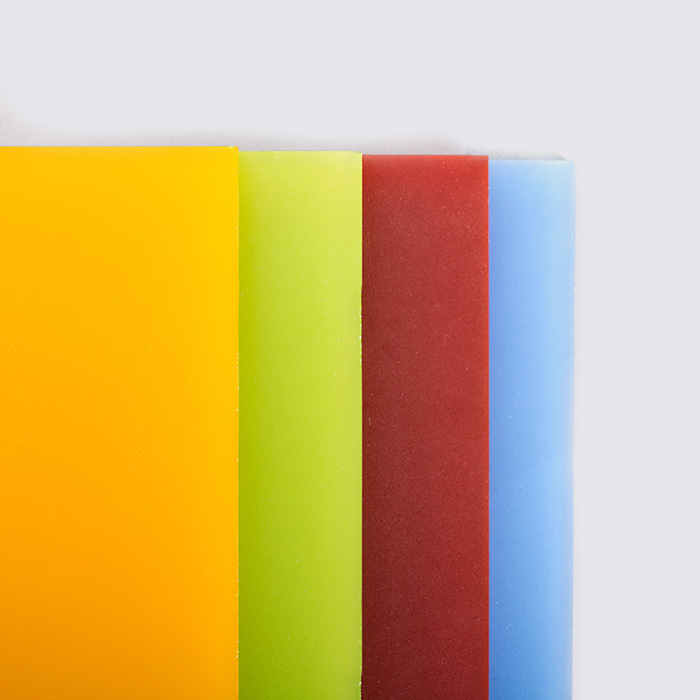 Methacrylate is a suitable material for applications in which aesthetics are important and, at the same time, a very versatile solution is required. It is a visually attractive option with a transparency and optical quality similar to glass, while being 10 to 20 more resistant. Likewise, it is able to withstand severe weather and solar rays over many years without losing its characteristics. On the other hand, it is very lightweight: its density between 117 and 120 g / cm3 makes it a bit heavier than water and half as much as glass. Another advantage is the ease in working the material, since you can drill, sand, fold or cut off by using mechanical tools. Finally, its excellent capacities as acoustic and thermal insulation make it a very suitable alternative for construction and space design solutions. Signs, exhibitors, anti-reflective signage, displays, advertising, light and anti-reflective signs, POS. Models: urns of large and small formats for architecture. Reduced scale display cases and cabinets for different models of cars, boats, trains and collectibles in general. Side panes for sports tracks and facilities. Windshields and accessories for nautical use. Healthcare items, bathtubs, accessories, tanning booths. Advertising and advertising elements: pricetag holders, photo frames, pedestals with printing, engraved items. Promotions, vending, leaflet dispensers, posters and displays.